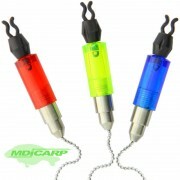 MDI Carp Set of 3 Carp Fishing Chain Bobbin Indicators Hangers with Plastic Box. 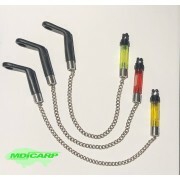 This set of 3 bright coloured chain hangers are excellent value for money, each hanger has an adjustable line clip, hollow head for putting betalight in. Features: 3 Different Brightly coloured heads. 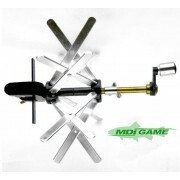 Ad..
MDI Carp Set of 3 Chain Bobbin Indicators Hangers For Carp and Specimen Fishing. 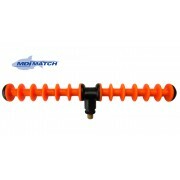 This set of 3 bright coloured chain hangers are excellent value for money, each hanger has an adjustable line clip, hollow head for putting betalight in and on a 15" chain that can easily be adjusted if required shor..
MDI Match Bait Pellet Bander with 25 Bands A must item for everyone's tackle box. 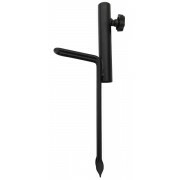 Simple to use, simply place the silicone band over the end, push the plunger which opens up you band, please your pellet, bait then release the plunger, your now ready to fish. 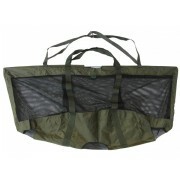 Light and compact approx 8c..
MDI Match Lunch Punch Set. 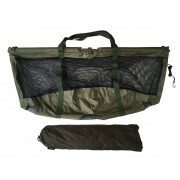 Set of 3 Lunch punches, 6mm, 7mm & 8mm ideal for meat and making pellet shaped baits. 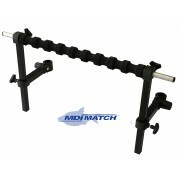 ..
MDI Match Lunch Punch Set. 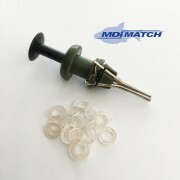 Set of 3 Colour coded Lunch punches, 7mm, 9mm & 11mm ideal for meat and making pellet shaped baits. 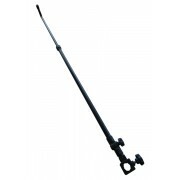 ..
MDI Pole Bump Spray Bar. 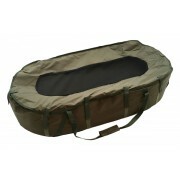 Designed to fit 'Leg System' style seat boxes including Daiwa, Maver, Grandeslam and many more. 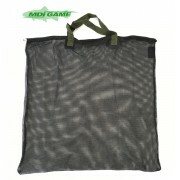 Ideal for supporting long poles for long periods, and for leaving your hands free. 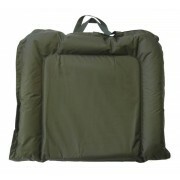 This 20ins(53cm) long, Bump Bar will fit most square and round leg seat box systems and is..